VILSECK, Germany — Whether it is eating at your local food court, or shopping at your local commissary, there is always the opportunity to make your lunch eating habits a little bit healthier. Medical Department Activity Bavaria Nutrition Services and Preventive Medicine have put together the Bavaria Healthy Lunch Guide to counter different lunch options that are often available to you, the consumer, at a military post. The Bavaria Healthy Lunch Guide helps to assist and inform people, from all walks of life, on how to make healthier choices when it comes to eating out for lunch, or simply packing lunch on the go. The concept of the healthy lunch guide stemmed from the results of the 2018 Military Nutrition Environment Tool Survey. MEDDAC Bavaria quickly learned there weren’t a lot of healthy eating options available on the military post. If people are aware of the various healthy eating options available to them, know they can pack a healthy lunch that is relatively inexpensive, it would help them make more informed choices. Even though the methods and practices listed in the Bavaria Healthy Lunch Guide seems geared toward military service members, it is for everyone interested in making healthy decisions when it comes to eating lunch. Most of these principles can even be used for the dinner meal too. You can find the Bavaria Healthy Lunch Guide by visiting the MEDDAC Bavaria webpage at rhce.amedd.army.mil/Bavaria/ and click on the Information & Resources tab. 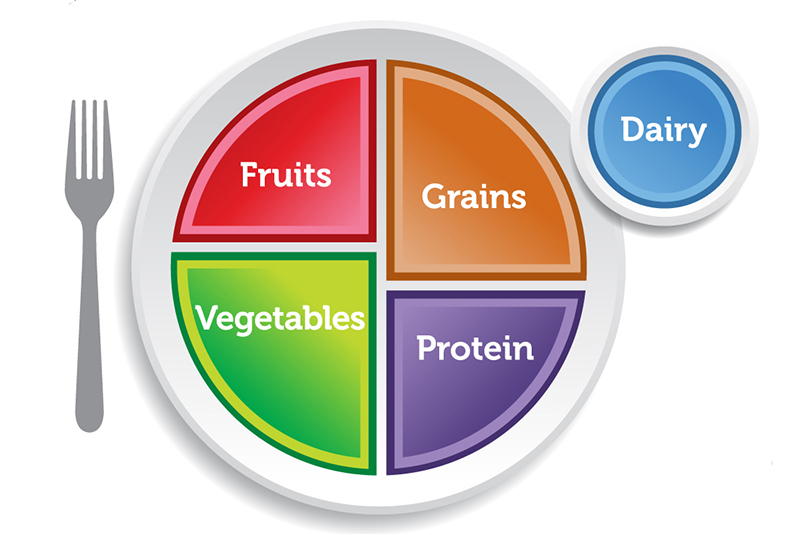 For more information and tips on balanced eating, visit www.choosemyplate.gov. If you are interested in obtaining nutrition education/information, please contact Nutrition Services at DSN 314-590-2540, CIV 06371-9464-2540.